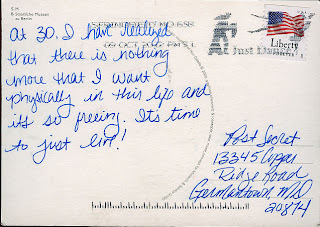 I almost missed this week's post secret. 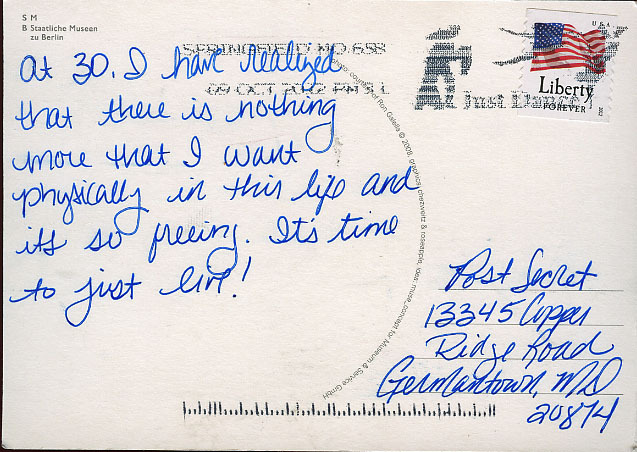 This postcard shows how I feel right now. When we move the trade off of reassessing a new home's needs will be worth temporarily losing that feeling. We live in a consumerist time and everything physical can be purchased or repurposed. Growing old with the person I love is way better than having the exact number of radios for every room (5 if you were wondering).